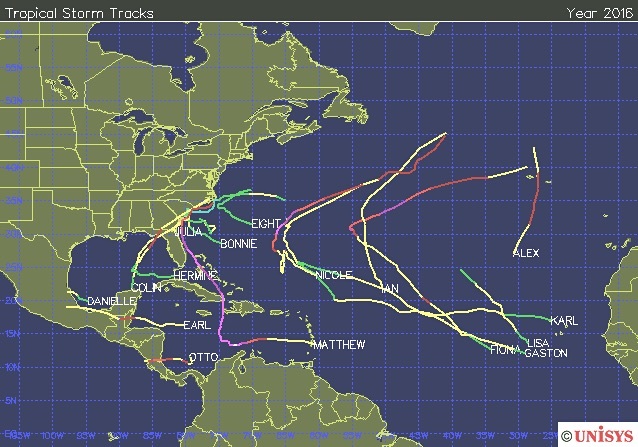 “The 2017 hurricane season was extremely active. Overall, our predicted numbers from our early July and August issue dates for named storm and hurricane formations were relatively close to what was observed, but our early season predictions and our predictions for integrated metrics such as Accumulated Cyclone Energy (ACE) were far too low,” said Phil Klotzbach, lead author of the forecast at CSU. 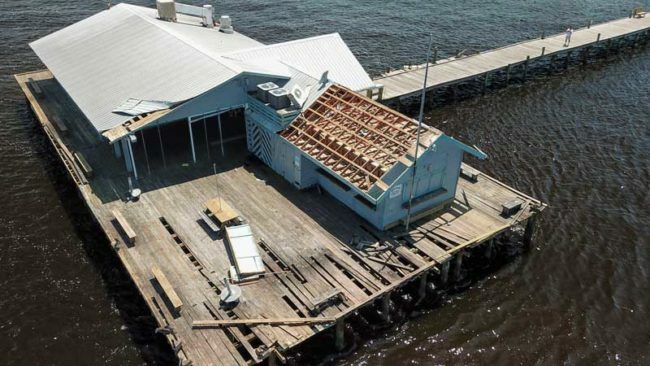 This entry was posted in Environment and tagged Anna Maria City Pier, Atlantic hurricanes, El Nino, Flooding, Florida hurricanes, Gulf coast hurricane preparation, Hurricanes, La Nina, Tropical Storms on December 3, 2017 by Mike. 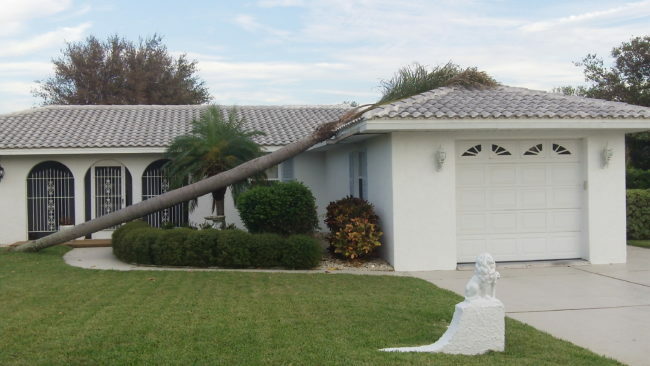 A Ficus tree blown over by a wind gust. Culverts did not drain. 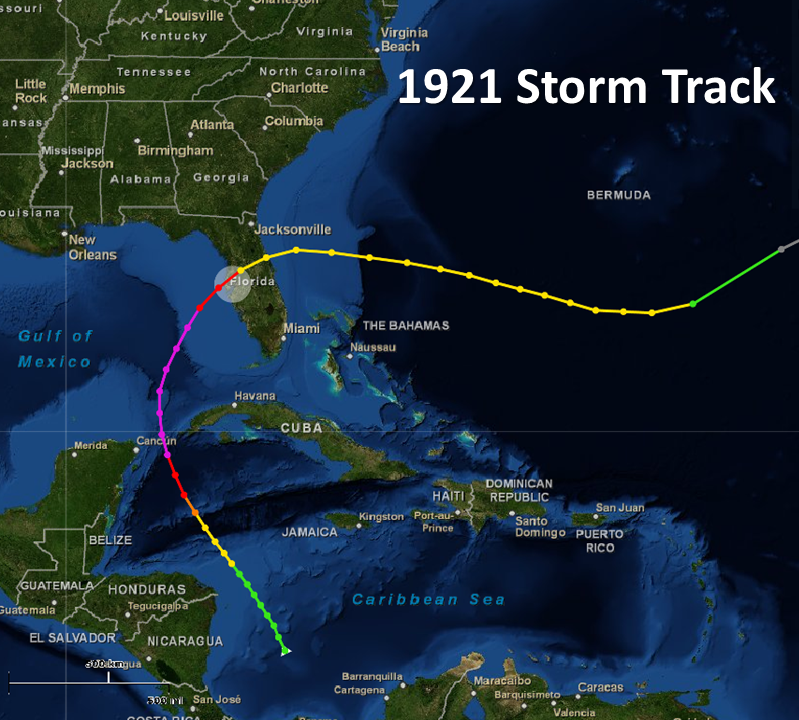 On August 18th, a weather disturbance in the Atlantic Ocean formed into an area of tropical interest and labelled “Invest 99L” by meteorologists. For ten days it crept across the ocean and meandered in the eastern Caribbean. By Monday August 29th, Tropical Depression 9 hatched, and unconstrained by prior nearby steering winds headed into the Gulf of Mexico to become Tropical Storm Hermine on Wednesday. 2016 TD9 in Florida Straights becomes Tropical Storm Hermine, then Hurricane Hermine at landfall. West Florida went on high alert. 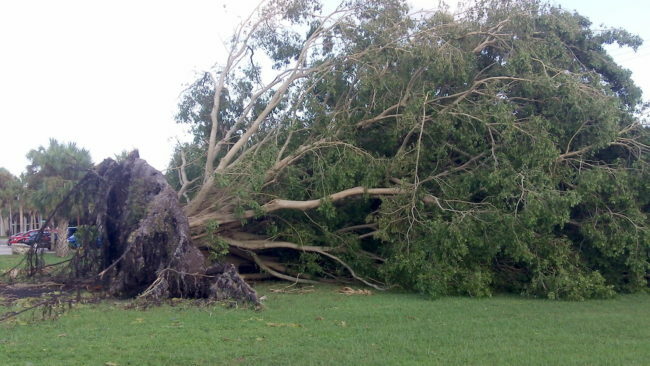 Storms this close sometimes run up the coast like Tropical Storm Debby (2012), sometimes change direction suddenly or quickly intensify like Hurricane Charley (2004). In any case Hermine looked like it would be a rain-maker like Tropical Storm Colin earlier this year. Blocked drain and overwhelmed percolation pits. 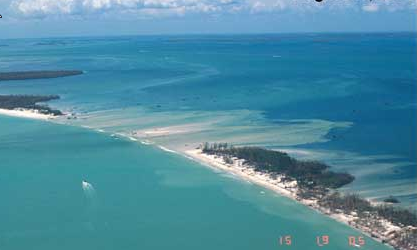 Anna Maria Island residents experience nature’s best and worst conditions. Summer storms can be brief and invigorating or inconvenient and terrifying. 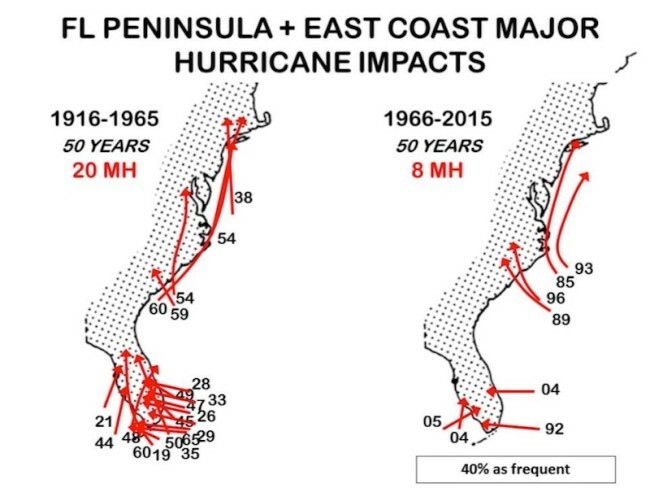 Hermine kept offshore but the effects stayed around for 3 days, tossing 9″ of rain, 45mph wind bursts, frequent lightning and massive thunder booms from waves of storm-bred feeder bands. 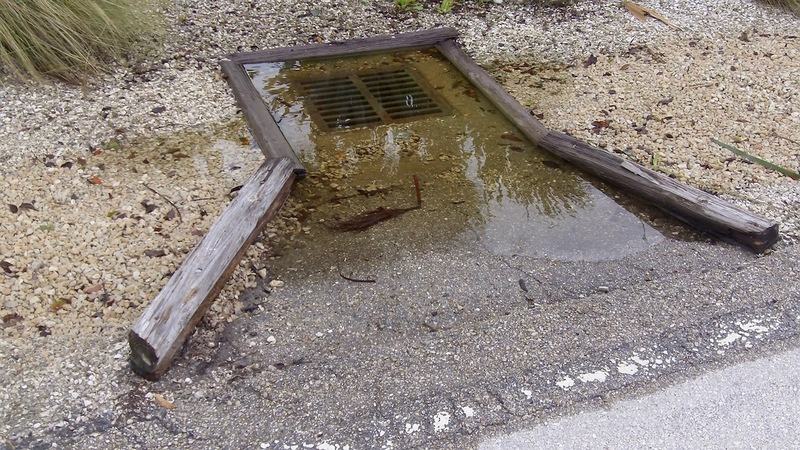 Combined with 2½ feet of surge on top of 2½ foot high tides, torrential and long-lasting rainfall overwhelmed the newly installed “percolation” pit drainage, causing what many people described as the worst flooding they have ever seen on the island. Schools closed Thursday, roads became impassable, and sewers backed up. Power stayed on apart from a short outage when a falling tree brought down some lines. 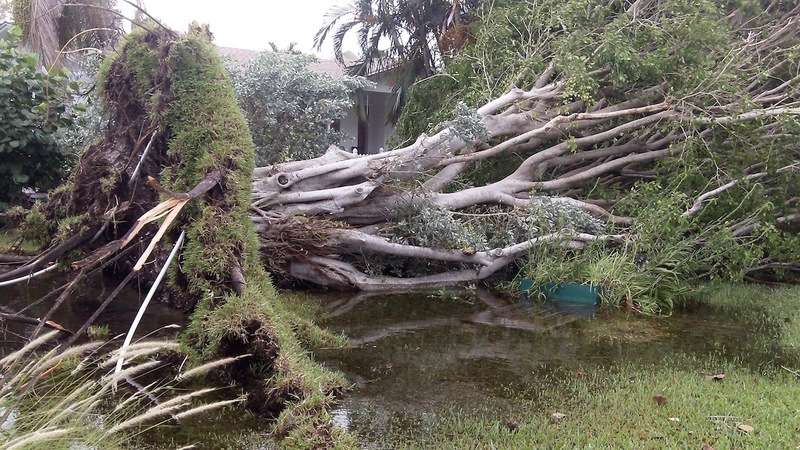 This entry was posted in Environment and tagged Anna Maria Island, Anna Maria surf, flood, Flooding, Hermine, Holmes Beach, Hurricane Hermine, Hurricanes, Storm surge, Tropical Storm Hermine, Tropical Storms on September 3, 2016 by Mike.